Have We Found the Real Dr Jekyll and Mr Hyde? 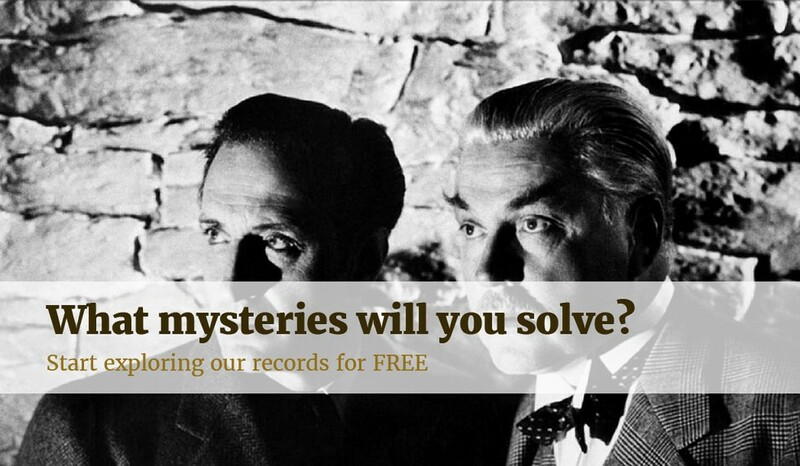 Findmypast may well have made an incredible discovery in one of the most famous mysteries of the last century. This data, in line with some recently-unearthed articles from our Newspaper Archives, marks the most significant breakthrough in this case since the Victorian era. Dr Jekyll is known to have lived in Marylebone, London, in the 1880s. 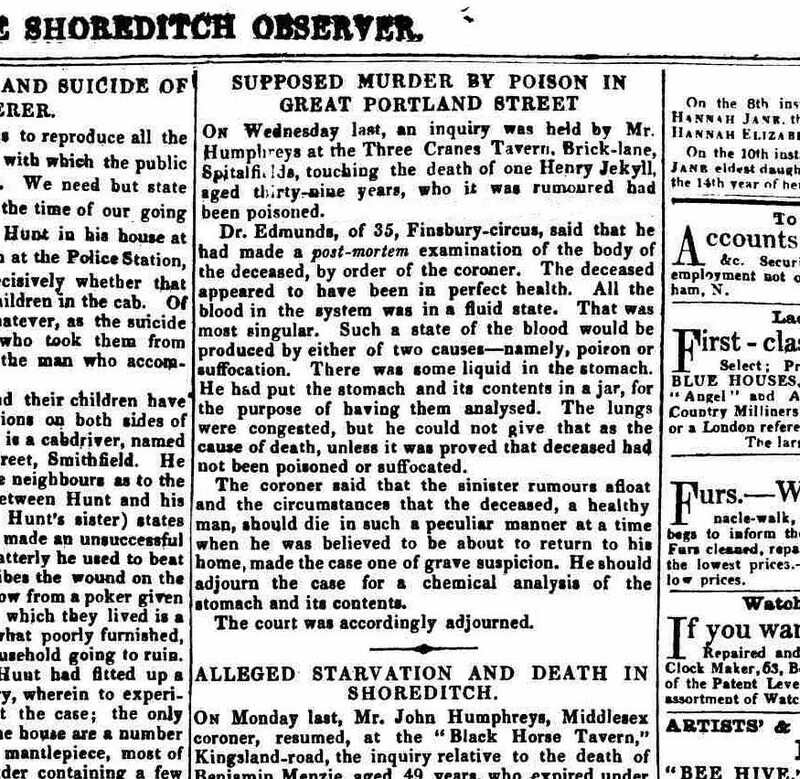 Now, Findmypast can confirm he was murdered in a hotel on Great Portland Street in 1886, thanks to an article accessed from our Newspaper Archives, which reveals that Jekyll died of poisoning, possibly in conjunction with suffocation. The story is further substantiated by Jekyll's death record, which notes that he died in Westminster. Jekyll was originally believed to have committed suicide, leaving a note detailing the existence of what he described as a sort of 'evil alter-ego', Mr Hyde, who he described as an agent through whom he was able to act upon his most depraved compulsions – with the help of some extraordinary 'potion'. In his confusion, Jekyll wrote the letter describing Hyde as a sort of twin personality, expressing tremendous fear at the evil he might commit under Hyde's influence, and of the repercussions he might suffer at Hyde's hands should he realise Jekyll's desire to be free of him. 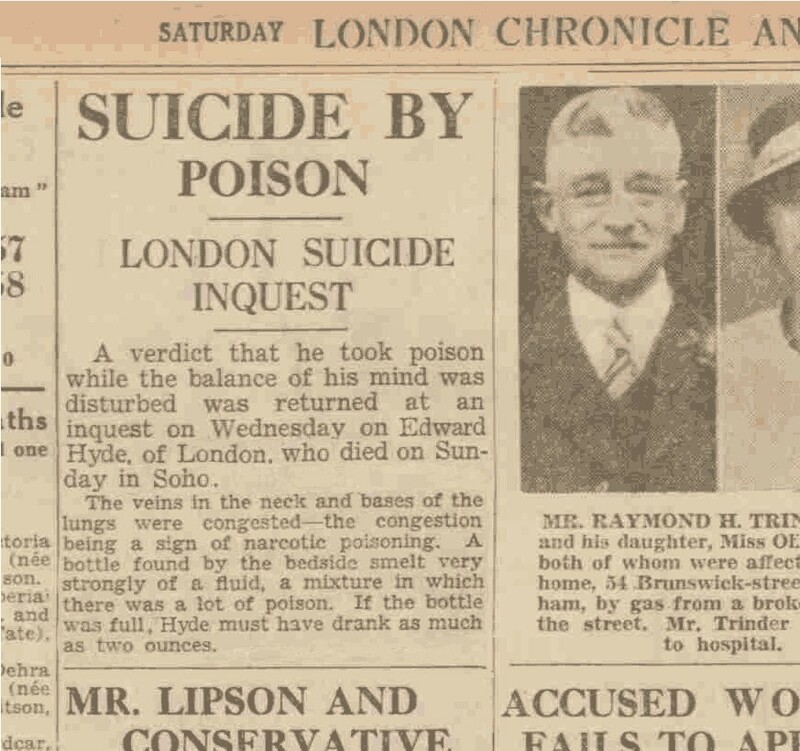 Another article from the Saturday London Chronicle, dated a few days after Jekyll's death, confirms that a Mr Edward Hyde committed suicide by supposed 'narcotic poisoning' in Soho. His appearance was described as peculiar - the veins in the neck and the base of his lungs 'congested'. His horrible visage is attributed to poison in the article. 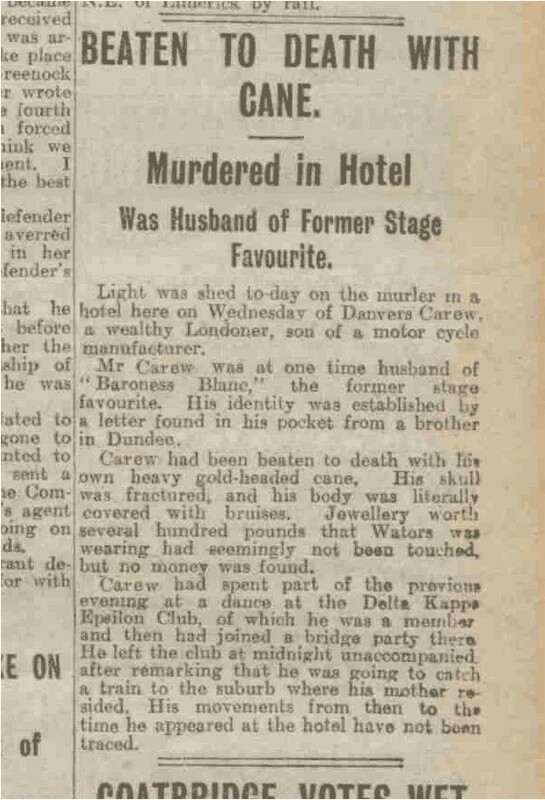 Judging from these newspaper articles, the truth of the matter was that Hyde was a violent deviant who had Jekyll under his thumb, and murdered him before he was able to seek help from the authorities. Dr Jekyll's untimely death followed a spate of particularly vicious killings in the area which were linked to an associate of his, a Mr Edward Hyde. While Jekyll's birth record was easily accessible, we were unable to find a birth record for Hyde. He also appears to have evaded the census for several decades before his death. Jekyll and Hyde clearly had a somewhat unorthodox relationship. The difference in their personal circumstances wasn't the least of it, and it appears that it was their disparate financial states which led to their twin downfalls. Dr Jekyll, who is thought to have inherited a substantial fortune, lived as a reputable gentleman professor and doctor in a large house in Marylebone. For at least the last year of his life Hyde lived in a house in Soho, the rent of which was probably paid for by Jekyll. It's clear that Hyde had some power over Jekyll, since there is no clear explanation for Jekyll's generosity in supporting him. They had no mutual friends, though several of Jekyll-s acquaintances – according to popular mythology – were aware of Hyde's existence. Their partnership, whatever its nature, obviously deteriorated rapidly.